Some of the female participants. 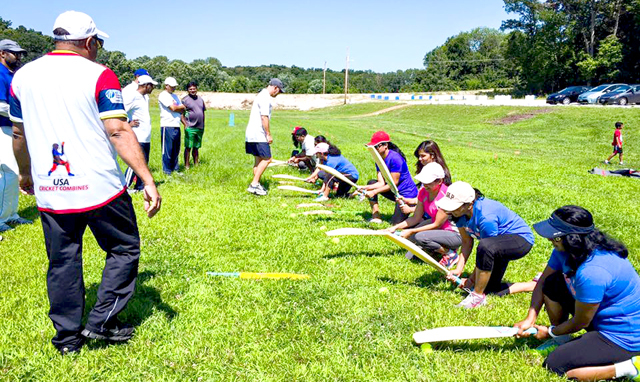 Bringing communities together and promoting the development of youth and women cricket in the Midwest was boosted by an American Cricket Federation weekend coaching certification camp, in conjunction with the American Cricket Academy (ACA). The ACA is a non-profit organization that began its journey in the summer of 2015. Its goal is to build a proud tradition of developing not just the best youth cricket program in the USA, but to also develop the athletes into productive citizens. In addressing character, the ACA decided to give the athletes opportunities to show servant leadership through mentoring, and assigning them various responsibilities, with them taking ownership of their actions and putting others first. This is further reinforced through ACA’s community pillar. In teaching athletes about community, they want the athletes to reach beyond the cricket community and become involved in the entire metropolitan area. To do this and to further the character pillar ACA is highly involved with community service. ACA families do a minimum of one service project each month. They are proud to say they have not just their athletes, but also the families involved in each project. All the experience and learning helps the families connect with different communities. The cricket pillar is another that is tied to character development. So often in youth sports we witness less than stellar behavior from athletes, coaches and parents. 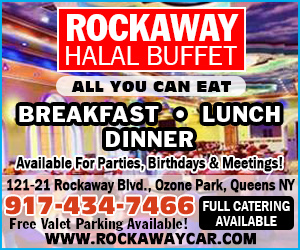 It is emphasized many times over in the ACA academy, that everyone must conduct themselves with class. This means working hard on and off the field, conducting one’s self in positive ways and respecting each other, as well as the teams and families with whom they interact. The ACA started with seven athletes, and has now grown to approximately 140 athletes. In less than nine months the academy has conducted four three-day camps, and assisted in the development of more than 900 PE teachers, and over 1500 students, through teacher development, state conventions, school presentations and assemblies, and reached out to various civil and government organizations to help spread the spirit of cricket throughout the State of Missouri. They have also conducted the first “After school and Summer school” program in the region to generate interest for inter-school competitions. In addition to this ACA provides all girl athletes full scholarships and have 15 active participants in the program. The aggressive goals of the ACA demand many local dedicated coaches so active adult players (ACA members) have stepped up to volunteer as dedicated coaches for the youths. Coach Jatin Patel (right) having a chat with the attendees. ACA is in a process of building a dedicated cricket infrastructure for kids with traditional club type cricket, and having five cricket grounds (Currently owns two side-by-side fields, and three more nearby dedicated cricket grounds in partnership with the local government). The ACA is taking solid concrete steps to shape up for the future by having Alvin Kallicharran on its Advisory Board, and with the help of Jatin Patel, Director of coaching at ACF, to train more coaches at the newly built cricket ground. The academy feels confident after the successful completion of the ACF coaching session, resulting in eight Level 1 women coaches and 19 Level 2 coaches. In addition, the ACA will have five Level 2 coaches with Level 1 instructor capability, to develop more Level 1 coaches in the region. The following testimonials are indicative of the success of the ACF and ACA collaborative program. “ACA is doing a commendable job to #growcricket in the USA, especially for youth cricket. The involvement of parent volunteers and coaches makes it a very comfortable environment for young kids to become passionate about the game. This positive environment and bonding amongst the ACA parent volunteers reflects in team bonding of the ACA youth cricketers. I can see a great positive impact of this environment in my two young boys. ACA is definitely more than just cricket. It was a great learning experience to attend the Level 1 coach training session conducted by Jatin Patel. It brought me as mom, a step closer to the game and the kids. 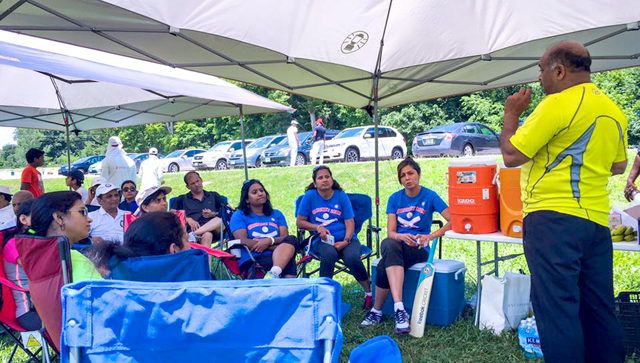 “On July 16th and 17th Coach Jatin Patel ran Level 1 and Level 2 coaching clinics in St. Louis, and although St. Louis was experiencing a record heat during the two days, the clinic was a great hit with all of the participants. We had a few cricket Moms along with many seasoned cricketers and a few intermediate level coaches. The broad level of skill-sets was indeed challenging. Coach Jatin patiently and professionally handled the enthusiastic and actively participating crowd with a positive and humorous touch. He effectively communicated the intricacies of coaching challenges, and complex technical cricketing issues were presented with simplistic practical solutions. His strong commitment to the youth development cause was clearly evident from the fact that he addressed all topics thrown at him without taking any short cuts, and stayed over and beyond the allotted time on both days. “As ACA coaches we have noticed lot of talent in the Midwest and have taken the initiative to build not only cricketers but leaders for the future. We need to build the talent and to bring efficiency in coaching. We have associated with the American Cricket Federation to get our coaches certified according to International standards. Jatin Patel from ACF worked with us on Level 1 and Level 2 coaching techniques. He was instrumental in creating awareness and making us realize what is best for the kids. All of our coaches learnt a lot from him, and personally it was not only informative and practical, but also working with him was inspirational. He kept the training sessions interesting and funny with his personal experiences.